LOOKING FOR A HOME BUILDING SITE THAT'S CLOSE TO TOWN FOR CONVENIENCE, BUT IS IN A QUIET, PRIVATE AREA? THIS NICELY WOODED, 0.7-1 ACRE LOT HAS 125-FEET OF FRONTAGE ON JOHNSON CREEK. THERE IS A NICE, LEVEL BUILDING SITE WITH A VIEW OF THE CREEK, AND UTILITIES ARE AVAILABLE ALONG DONNA DRIVE, A PAVED TOWN ROAD. LOCAL RECREATIONAL ACTIVITIES INCLUDE FISHING, HUNTING, BIKING, & HIKING, HUNDREDS OF MILES OF GROOMED SNOWMOBILE TRAILS & SEVERAL GOLF COURSES. 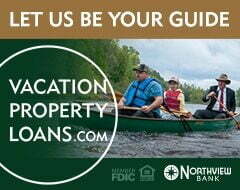 CANOE OR KAYAK THE CREEK TO JOHNSON LAKE OR JUST ENJOY THE CREEK VIEW AND ABUNDANT WILDLIFE WHILE SHOPPING AND ALL THE CONVENIENCES OF THE MINOCQUA/ ARBOR VITAE/WOODRUFF AREA ARE JUST MINUTES AWAY. 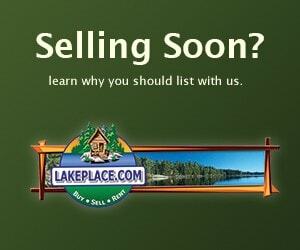 YOUR FAMILY AND FRIENDS WILL ENJOY THIS PROPERTY FOR YEARS.